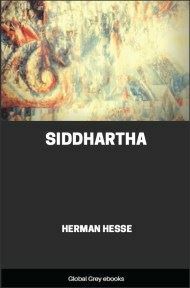 The Way To Nirvana consists of six lectures on Ancient Buddhism as a Discipline of Salvation, given as part of the Hibbert Lectures at Manchester College, Oxford, in 1916. Note: The Preface is in French, but the rest of the book is in English. There are and there have been in India, since the beginning, a number of religions, religions properly so called. They present an endless variety; they often differ essentially one from another; they belong to distinct types of civilisation. But, although some are polytheistic, some monotheistic, and a larger number tinged with pantheism; although some are pagan, dishonest, superstitious and magical, and some lofty and pure in every respect, some logical and cold, and some mystical and passionate,—all of them nevertheless come under the concept of religion as this word is generally understood by modern students of religious history. Whatever be their diversity, all were 'made' to meet, and they do meet in some manner, the needs of Man living in society, needs supernatural, moral and secular, needs individual and social. They teach a superhuman power, whatever be the nature and the dignity of this power; they explain the duties of Man towards it, or, more uncompromisingly, the right modus vivendi of Man with it; they have prayers or formulas, sacrifices, sacraments. They are concerned with the welfare of the dead, and also with personal welfare in this life; they have devices and ceremonies for the work and the anxieties of everyday life, for illnesses and for sins, which are often another kind of illness. They teach a general rule of conduct, and penetrate the Law of family or of tribe, for there is no clear and constant distinction between profane and sacred things. There is no Sanskrit word which covers the whole field of beliefs and practices that the word 'religion' suggests. But if we examine the many words which convey a religious meaning, yajña, 'sacrifice,' magical to some extent, pūjā, 'worship,' often idolatrous, bhakti, 'devotion,' dharma, moral and social rule, 'law' and virtue, we see that, while Indian 'sacrifice,' 'cult,' 'devotion,' 'law,' are quite Hindu, and are unlike the Semitic sacrifice, the Egyptian cults, the Christian love of God, the Roman jus majorum, they are nevertheless simply human (humain tout court) as far as their leading motive and their 'philosophy' are concerned. Side by side with the religions properly so called, there arose in India from about the seventh century B.C.—to last for many centuries, attracting thousands of adherents and exercising a strong influence on the Indian religions—a number of 'disciplines' with a special character of their own. They are 'disciplines,' that is bodies of doctrines and practices, together with a rule of life, aiming at a practical end,—the Indian word is mārga, 'path,' or yāna, 'vehicle,'—and, from this point of view, they are something more than philosophies, theories, or scholasticisms. But it is doubtful whether they can be styled 'religions.' In contrast with religions, the disciplines are made for ascetics, for ascetics only. Further they are purely personal or individualistic, that is they do not care for one's neighbour or for the dead. They are unsocial and often antisocial: they deprecate and often prohibit marriage. 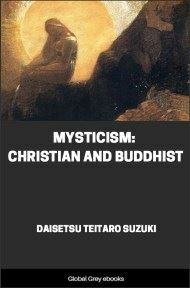 As a rule, they originate sects or orders and it may be churches, but such social formations are not essential to them: even in Buddhism, where the Master and the Church are all important, a belief exists that, in the days to come, when the Master is forgotten, the Church dissolved and Buddhism extinct, there will arise, from time to time, 'individual saints' (pratyekabuddha) who will be, by themselves, perfect Buddhists, living alone in the wilderness, like a rhinoceros, without companions or pupils.